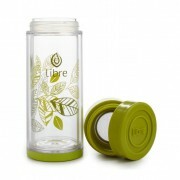 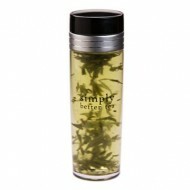 This large travel mug is easily portable.The interior is an easy-clean glass, the outer chamber is BPA free plastic. 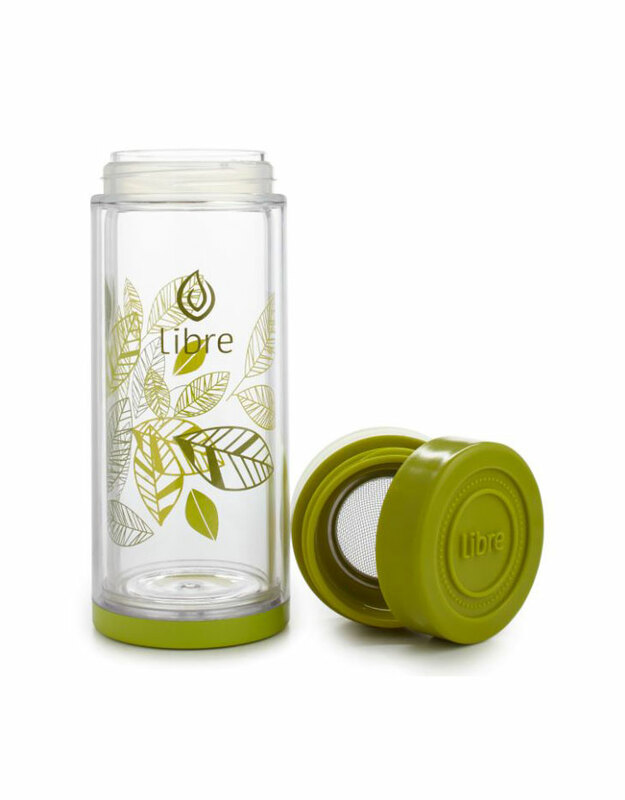 The wide, open filter top allows for a big gulp of your cool drink, and of course you can pop on the lid for carrying in your travel pack, purse or yoga bag. 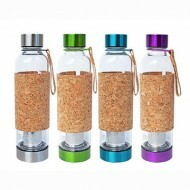 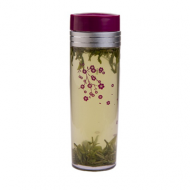 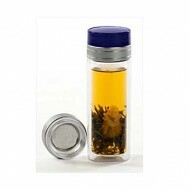 Best of all it keeps your drink COLD or HOT - so use it for iced teas in the summer or hot teas in the winter!